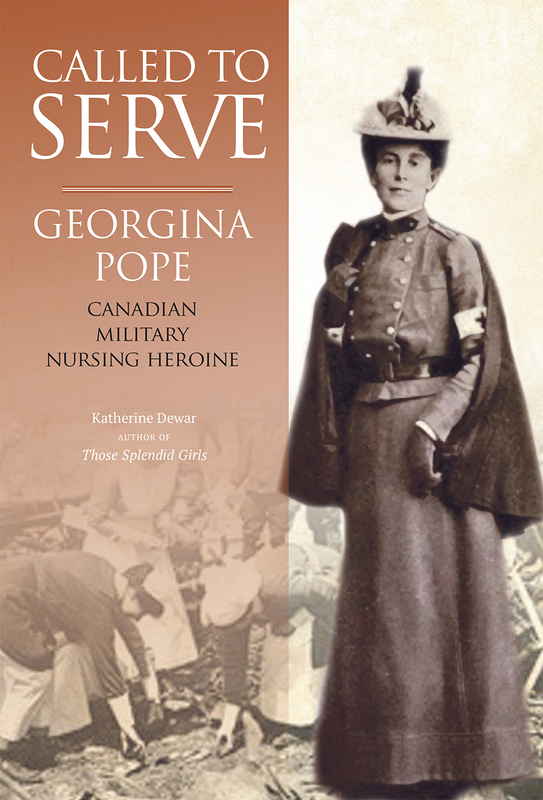 Called To Serve profiles the life of Georgina Pope, a Canadian military nursing heroine with strong ties to Summerside and Prince Edward Island. A National Historic Site and Monuments Board plaque about Georgina is presently located on the outside wall of the Armory in Summerside. Georgina Pope lived in St. Eleanor’s (a neighbourhood of Summerside) from 1875-1881 and in Summerside from 1881–1885 before entering nurses training at Bellevue Hospital. The house where she lived in Summerside still stands at the corner of Granville and Fitzroy Streets. This important biography outlines Georgina’s privileged upbringing in Summerside and notes early influences such as Florence Nightingale that sparked her desire to become an army nurse. The inclusion of personal photos and excerpts from Georgina’s diary give the reader an in-depth understanding of nursing conditions overseas in both South Africa and World War I. Called to Serve chronicles Georgina’s rise to the top ranks of military nursing leadership and how she become a national hero. Katherine Dewar was also awarded a Heritage Activity Award from the PEI Museum and Heritage Foundation for Called To Serve. Congratulations Katherine!